After years of underachievement and rising violence, Mexico is at last beginning to realise its potential, says Tom Wainwright. The Apocalypse was on its way, and it would begin in Mexico. Where elsen When archaeologists dug up Mayan calendars that ominously seemed to run out in the final days of 2012, some doomsayers predicted the end of the world. To many Mexicans it seemed like just another example of their country’s unending run of bad luck. The steepest recession on the American mainland, a plague of H1N1 swine flu and a deepening war against organised crime had made the preceding few years fairly grim. In 2009 the Pentagon had given warning that Mexico could become a “failed state”. Armageddon would be the icing on the cake. But it turns out that the Mayan glyphs were misunderstood. The men with magnifying glasses now say that the world is not about to end—in fact, it seems that the Mayans were predicting something more like a renewal or a fresh start. Could the same be true of Mexicon? This special report will argue that there is a good chance of it. Some awful years are giving way to what, if managed properly, could be a prosperous period for Latin America’s second-largest economy. Big, irreversible trends, from a falling birth rate at home to rising wages in China, are starting to move in Mexico’s favour. At the same time the country’s leaders are at last starting to tackle some of the home-grown problems that have held it back. Many of the things that the world thinks it knows about Mexico are no longer true. A serially underachieving economy, repeatedly trumped by dynamic Braziln Mexico outpaced Brazil last year and will grow twice as fast this year. Out-of-control population growth and an endless exodus to the northn Net emigration is down to zero, if not negative, and the fertility rate will soon be lower than that of the United States. Grinding povertyn Yes, but alleviated by services such as universal free health care. A raging drug warn The failure of rich countries’ anti-drugs policies means that organised crime will not go away. But Mexico’s murder rate is now falling, albeit slowly, for the first time in five years. A vast country with deeply ingrained problems and unreformed corners, Mexico could yet squander the opportunities that are coming its way. But there are signs that it is beginning to realise its potential. With luck, the dire predictions made by the Pentagon and others may turn out to be as reliable as a misread Mayan calendar. Mr Pena says his priority is to make the economy grow faster in order to reduce poverty. Nearly half the population are poor, many of them in the south (see map). 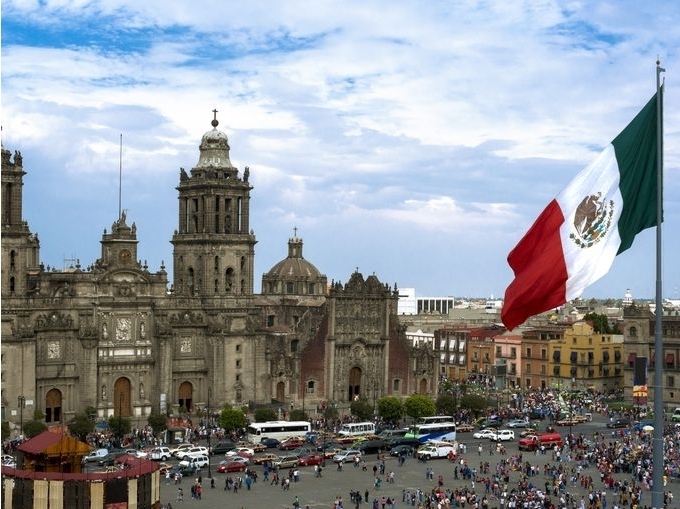 To achieve more rapid growth he will need to introduce a series of big economic reforms, some of which Mr Calderon attempted during his presidency, only to see them get stuck in Mexico’s cantankerous Congress.